A growing number of policymakers and experts in South Korea, the United States and other countries now presume that the best solution in principle for the North Korean nuclear problem and the larger “Korean issue” is unification, implying a peaceful takeover of the North by the South. This has been especially true in the latter half of Park Geun-hye’s presidency; where since her Dresden speech, this issue has been at the forefront of government and public discussion. 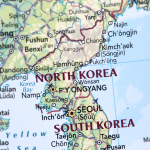 Some commentators in Seoul have concluded that unification is not only desirable but also quickly achievable, as evidenced by indications that the North Korean regime is about to collapse. Though I see no signs of brewing instability as I write this in Pyongyang, South Korea’s only reasonable course of action is to prepare for the possibility that international pressure will someday bring the North to its knees, as analysts assess the plausibility and desirability of such a scenario. Expert predictions about unification belie the inevitable complexities that the process would entail. Pundits argue that the international community could locate North Korea’s nuclear weapons and materials, and a nuclear power—likely the United States—or a multilateral organization such as the International Atomic Energy Agency would take charge of the assets with the ultimate aim of destroying them. They suggest that North Korea’s population would welcome South Koreans—including the flood of South Korean soldiers who would arrive first—and North Koreans would eagerly adapt to their new reality (though they would likely have limited freedom to move to South Korea or elsewhere). In a matter of years, natural resource development and labor-intensive production facilities would help to integrate North Korea into the larger Korean economy, giving a tremendous boost to the undivided country’s economic performance in the global market. The international status of the unified Korea would become qualitatively different, probably making it a new Asian power center. At the same time, such a development would benefit Asian security by removing a major military threat, eliminating the proliferation danger and helping all parties to generally feel safer. The Korean people’s dream to unify their country is understood and supported around the world, but the above scenario appears unlikely. Negative fallout from even a “peaceful” regime collapse could be significant, far outweighing any benefits and potentially exceeding the burdens that the global community has endured from regime change in Iraq and Libya. This preliminary analysis will consider several caveats that planners must take into account. Koreans may well have to wait to pursue unification until more opportune times, when new generations can reconcile on mutually agreeable terms and seek out an eventual national convergence of one form or another. The International Atomic Energy Agency currently has no capacity to support such an endeavor. This discussion does not refer to an open military conflict, which might include the use of nuclear weapons. Rather, it specifically addresses “peaceful scenarios” that might include turmoil resulting from leadership strife, a “people’s uprising” launched in reaction to economic troubles from sanctions or a government crackdown brutal enough to invite South Korean or international intervention. Notably, the DPRK Constitution does not include such a provision. One reason for China and Russia to oppose such a scenario in the absence of a proper procedure (i.e., a referendum) is its potential to raise questions about the results of World War II in the Pacific. It could open a Pandora’s box of mutual territorial and other claims in Asia and beyond.